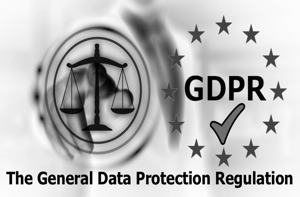 The EU General Data Protection Regulation (GDPR) is a regulation coming into force on the 25th of May 2018. It is the most important change in data privacy regulation in 20 years and will have an impact on every key component of your organisation to conduct business from your staff and processes to your systems and data. Data Protection Officers will have to be appointed by companies processing personal data on a large scale or of special categories of data. Personal data: “Any information relating to an individual, whether it relates to his or her private, professional or public life. It can be anything from a name, a home address, a photo, an email address, bank details, posts on social networking websites, medical information, or a computer’s IP address.” (European Commission). The first step is for your organisation’s top management and key data privacy personnel to understand the GDPR requirements and potential impact. The second step is to analyse personal data utilisation within your organisation to get clarity on your organisation’s scope for GDPR compliance. The third step is to conduct a technical and non-technical assessment to identify relevant data privacy design, procedure and control gaps. Finally, to demonstrate GDPR compliance, organisations need to document, implement and then enforce controls and procedures that meet the principles of Privacy by Design and by Default as per Article 25 of the GDPR. ElysiumSecurity Ltd can help your organisation with assessing its data privacy risks and security controls. We can also provide further information on GDPR and tailored compliance assessment kit.